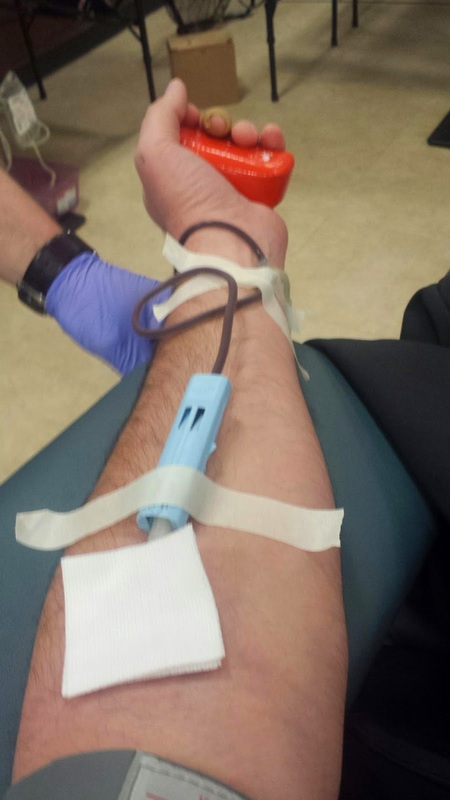 Donating blood always makes a person feel good. Not sure exactly the cause but it could be the fact that donating to someone else is a good thing. Could be that fact that your donation may be the one that saves a person. Regardless of the reason get out there and support your local blood banks. Its relative painless and only takes a couple minutes and you get to hold your head up high knowing that you did something for someone else.